Happy Valentine's Day!!! And what a perfect way to celebrate!! 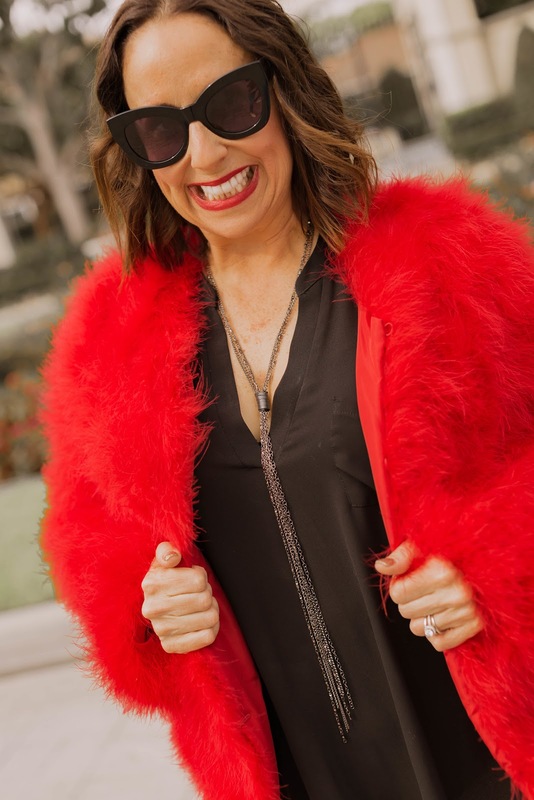 In my favorite red feather coat!!! I know, it's a RED FAUX FUR COAT. But colored fur is so on trend for this winter. I picked up this cute number at Saks Fifth Avenue on my girls trip to the big apple. A group of us ladies each got one of these coats in different colors, and we had so much fun shopping!!! 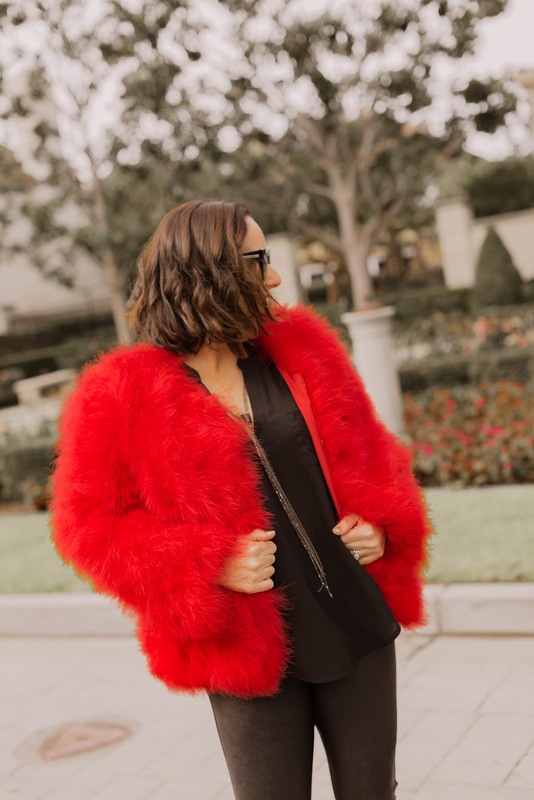 I paired this fun coat with my favorite Spanx leggings. You absolutely need these ni your life. I wear them all the time. And of course I completed this outfit with my go to Jimmy Choo heels. Soooooo comfortable ladies!!! I think the perfect way to celebrate this day of love is in this cute red coat. What are you wearing for the special day? Thanks to Gabi Wells for photos. You can shop this look by clicking on the links above. Happy Reading!! !